- Privative and secured (for children) swimming-pool, 400meters away from the beach. - The required equipment to suit all your needs is present. "We had very pleasant week in this villa. It was clean, very calm and safe. We (parents, grandparents, 3 boys) enjoyed warm evenings in the cosy terass. Pool was great and water warm. Beach was nice and near and after visiting Nice, Monaco, Aix etc. it was very nice to come back to the peaceful home! Lovely place." "We where three families with in total 4 kids in age 9 months to 5 years old. 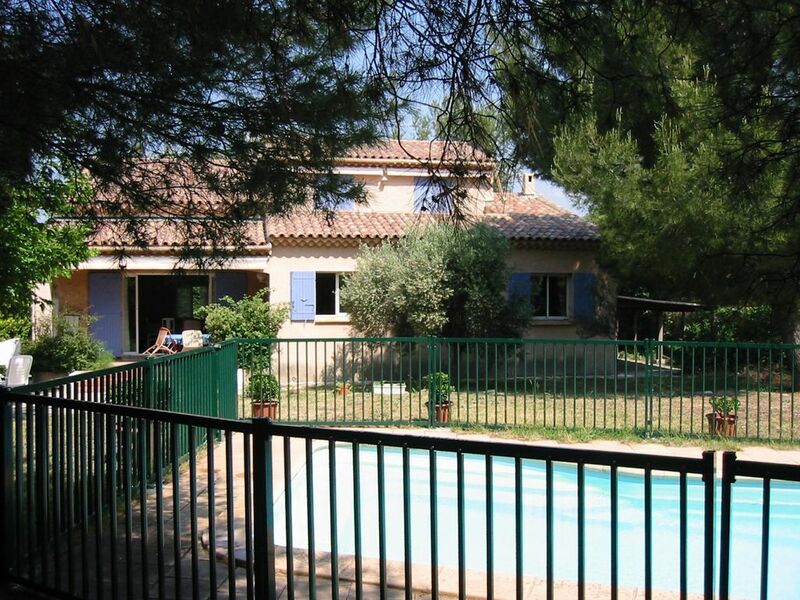 The house was perfect for us with the pool which was clean and secured, and the garden which is big and private. The beach is only a 5-10 minutes walk away, and is really nice! We can recommend this property to other families, and we would like to come back!" "The house was exactly as per the description. It was ready and very clean on our arrival. The owners were very friendly and gave all information we required. The garden is lovely, very large with a super and very safe pool area. The location of the property is ideal and it would be possible to holiday there without ever using a car. The beach, restaurants, supermarket and other shops were all within easy walking distance and even the main St Cyr town was a gentle walk with all amenities - banks, post office, market etc. We had a lovely holiday and very much enjoyed the location. It was an ideal area for children (ours aged 6 and 8)." "Very clean, well equipped and spacious accommodation with very helpful owners. Perfect for children (but could have done with a guard rail on the bottom half of the stairs). Quiet and secure location and only a few minutes walk to all amenities (sea, shops, cafes, supermarket, restaurants etc). Real family resort. We would not hesitate to recommend this villa for a family holiday." Maison agreable tres bien placee. Tres bon sejour. "Sehr schönes großes Haus mit einem tollen Garten und schönem Pool. Alles sehr gepflegt und sauber. Wir waren mit 6 Personen, davon 4 Jugendlichen, da und haben zwei wunderschöne Ferienwochen verbracht. Vor allem die Lage, ohne Auto zum Strand und zum Einkaufen, spricht ebenfalls für dieses tolle Haus. Wir haben jeden Tag genossen und kommen sehr gerne wieder." Very easy to find, map provided. A lot of interesting activites are available and will be explained to you by your hosts.